Recently returning from Country Radio Seminar, Brent Lane will give a presentation and in depth look at research done by Edison Research that looks at the future of Country, radio, and how music gets passed down…and up. Research shows nearly 63% of 13-19 year-olds listen to the radio every day. 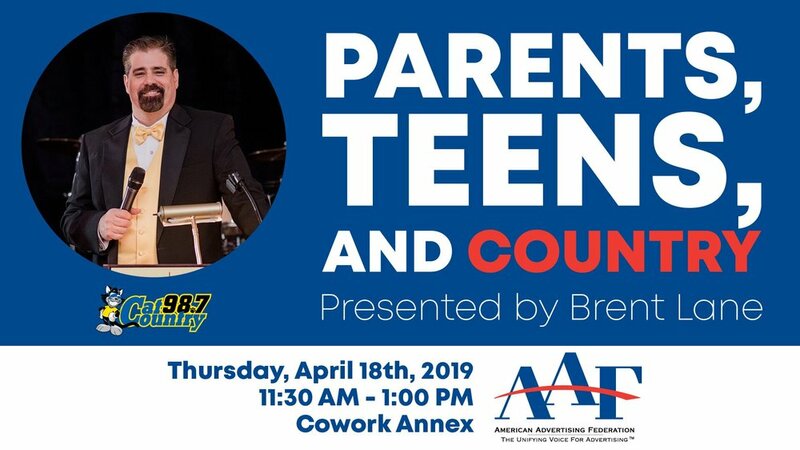 Join us on April 18th, for a look at how you can reach teens and their parents through radio. *Facebook RSVPs do not qualify. You must RSVP through the form.